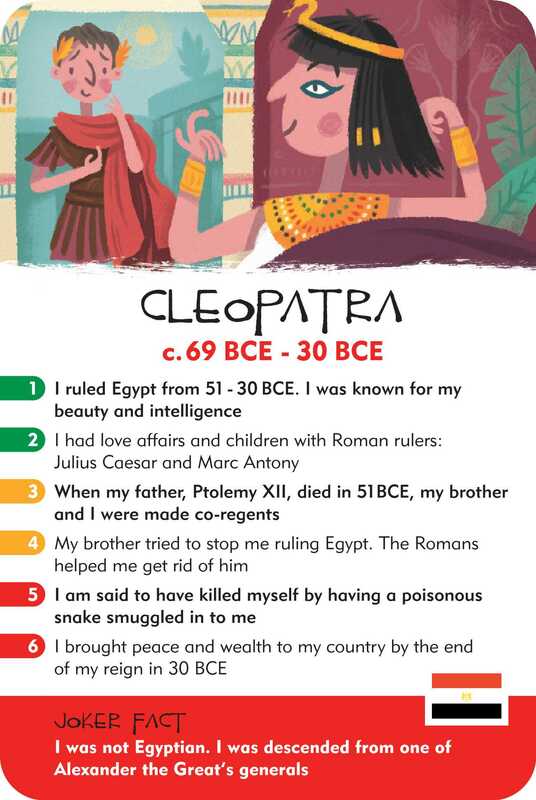 History Heroes: WOMEN in history quiz card game contains individual, beautifully illustrated cards of forty of the greatest women throughout history to the present day from Cleopatra to Angela Merkel. 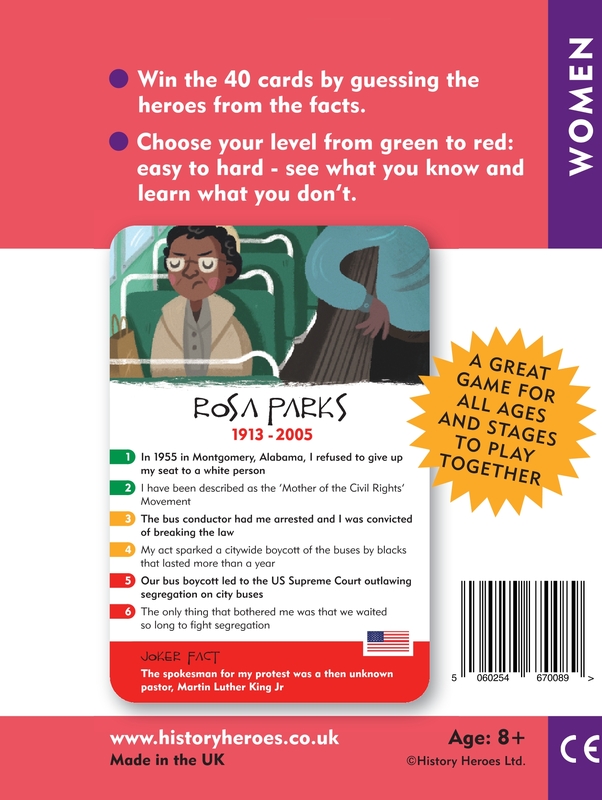 Each card is illustrated to represent the individual Woman in history and shows her dates, her flag of birthplace and seven gripping facts about her, including a joker fact about each character to surprise and/or entertain. 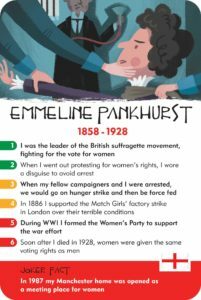 History Heroes: WOMEN in history represents a fantastic, diverse range of amazing women. Many characters will be familiar to all – from Cleopatra to our present-day Elizabeth II; from Catherine the Great to Margaret Thatcher. There are female monarchs, political leaders, scientists, artists, writers and performers. There are explorers and campaigners too, many who have risked their lives for their causes. All are inspirational and all have contributed significantly to the shape of our world today. 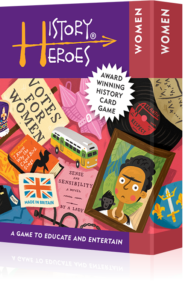 There are many ways of playing the History Heroes: WOMEN in history card game. 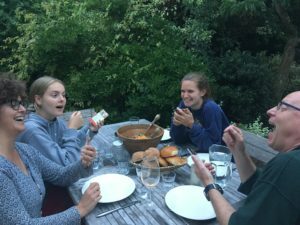 We provide suggestions in the box on how to play and you can make up your own rules too if everyone playing agrees to them! 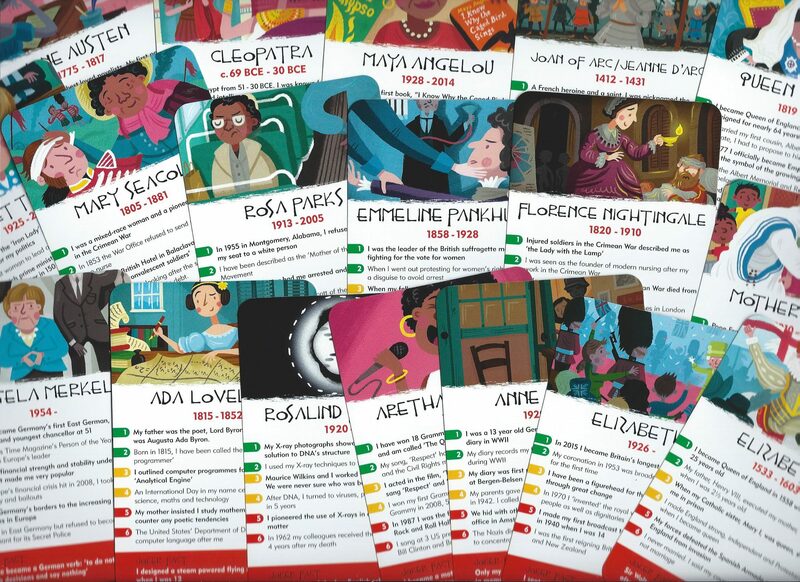 The aim of any History Heroes game is simple: you win the game by winning the cards and you win the cards by guessing/knowing the facts. You can use the images as clues and you can use the different levels of facts to make it as easy or as hard as you want to play the game. 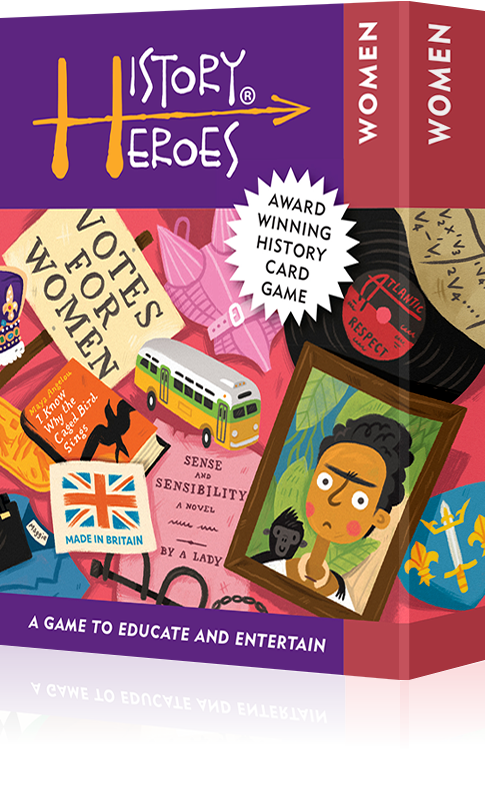 Different people can play on different levels of fact within the same game so that all ages and stages can play together. The green facts are the easiest working down to the red facts, the most difficult. You can, of course, use the joker fact at the bottom, too, to overrule them all!